Last week, Hamas began firing rockets into cities in Southern Israel, and today, in an exclusive interview with Breitbart News, Israeli Brigadier General Yossi Kuperwasser said “enough is enough.” Kuperwasser, Israel’s Director General of the Ministry for Strategic Affairs, confirmed media reports that 75,000 Israeli reservists have been okayed to mobilize for a ground invasion of Gaza, though he wouldn’t comment on whether he believed an invasion was inevitable. Though certainly there are land disputes between Hamas and Israel, the contrast Kuperwasser keyed in on was the difference in tactics. While Israel is attempting to target Hamas’s infrastructure, i.e. disable their long and short range rockets and anti-aircraft capabilities, Hamas has targeted civilians in Tel Aviv. “We use weapons in a way to minimize rockets launched into Israel, they launch rockets at civilians,” he explained. One challenge in fighting with Hamas, Kuperwasser said, is that they target Israeli civilians and shield themselves with their own. But this is a way of life in the West Bank and Gaza Strip, where children are educated to destroy the state of Israel by any means necessary. “We love peace and seek peace,” he asserted. Kuperwasser expressed that Hamas has been emboldened and empowered by an influx of the aforementioned infrastructure from Libya and Iran. He confirmed media speculation that Hamas has acquired Libyan anti-aircraft missiles. It has been suspected that Hamas had obtained significant amounts of Libyan arms around the time of the fall of Muammar Gaddafi in 2011. According to the Director General, Hamas is also firing Iranian long-range rockets. Unsurprisingly, Iran has denied similar allegations. 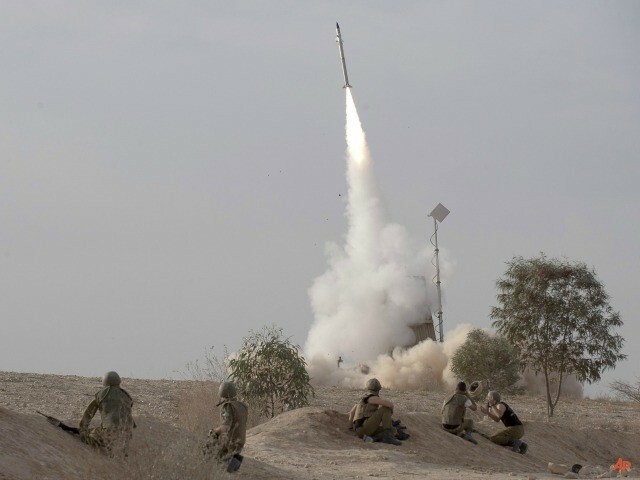 Today, the Iron Dome intercepted two rockets aimed at Tel Aviv. While Kuperwasser would not say definitively that the ground troops would attack Gaza, it is clear that Israel is prepared for war.